It’s every writer’s dream—the chance to sit down for a chat with perhaps the greatest living novelist in the USA. A novelist who, after a hiatus of more than 50 years, has just had a “new” book discovered and released. But for me, it’s just a pipe dream. Even if I were to make the long drive to Monroeville, Alabama to try to interview the frail and reclusive Harper Lee, the gatekeepers at her assisted living facility would almost certainly turn me away. Heck, they’d probably turn Stephen King away. But in my fertile imagination, here’s how the conversation might go. ME: So…what do you think of all the hoopla over “Go Set a Watchman”? HL: Speak up, please, sweetie. I’m almost totally deaf, you know. I pull my chair closer so that she can, perhaps, read my lips. Then I remember that her eyesight isn’t much better than her hearing. ME (louder, this time): What do you think of all the hoopla over “Go Set a Watchman”? HL: I think it’s a lot of hoopla. ME: Did you ever imagine that “Watchman” would be published sixty years after you locked it away? HL: No. That’s why I locked it away. My editor wisely suggested that I write a different novel. A better novel, is what he meant. So that’s what I did. ME: You’re speaking of “To Kill a Mockingbird”? HL: Of course I am. I kept the town and some of the characters, but I set the story during the Great Depression and made it more compelling. And more interesting. Partly by telling it through the eyes of the child Scout instead of the grown-up Jean Louise. ME: Do you think “Mockingbird” is a better book than “Watchman”? HL: It won the Pulitzer, didn’t it? ME: Who’s to say “Watchman” won’t win a Pulitzer, too? 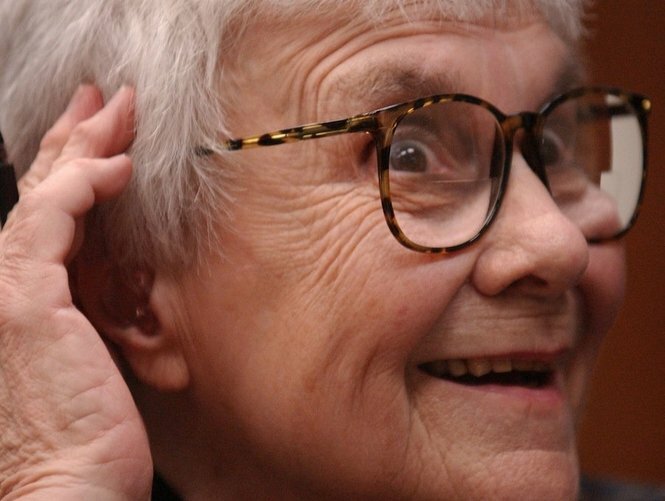 Behind eyeglasses with lenses thick as Coke bottles, Harper Lee rolls her eyes at me. ME: Did you agree to let “Watchman” be published so that you’d no longer be labeled a one-hit wonder? HL: Who says I agreed to let it be published? ME: Your new attorney claims you did. HL: Attorneys don’t always get the facts quite right. I squirreled the “Watchman” manuscript away because it was a draft of a novel, not the finished product. When I wrote it, I was taking batting practice. Priming the pump. Playing scales on the piano before the real performance began. If I’d really wanted “Watchman” to see the light of day, don’t you think I would have pulled it out of its hiding place before now? ME: Did you re-read the manuscript before you handed it over, just in case you wanted to make some edits? HL (shaking her head and tapping the frames of her glasses): Do these tired old eyes look like they could read an entire book manuscript? ME: Couldn’t you have asked someone to read it to you? HL: Speak up please, sweetie. I’m almost totally deaf, you know.